Lisa Davenport, CFA, is currently a consultant/contractor at Neuberger Berman in the North American Institutional Client Group. Prior to this, she was a vice president, senior client relationship manager responsible for Institutional Clients at Calamos Investments. Before joining Calamos, Davenport was a managing director of the Global Corporate Client Group for NASDAQ OMX providing support and counsel to executives and board members of publicly-listed companies. She spent time at ABN AMRO Asset Management as a relationship manager working with institutional clients and also managed fixed income private placement portfolios for Allstate Insurance Company, MONY Capital Management and American United Life Insurance Company (now OneAmerica). Davenport earned a BS in finance from Indiana University, Kelley School of Business and has an MBA in marketing and finance from University of Illinois Chicago. She is a CFA charterholder and member of the CFA Institute and CFA Society Chicago, where she serves as a member of Communications Advisory Group. She also holds a Series 7 license. Abhinav Davuluri is a senior equity analyst for Morningstar Research Services LLC, a wholly owned subsidiary of Morningstar, Inc. He covers microprocessors, wafer manufacturing equipment, and other companies in the semiconductor space in addition to Apple. Before joining Morningstar in 2015, Davuluri spent two years as a process engineer for Intel. Davuluri holds a bachelor’s degree in chemical engineering from the University of Michigan. He has passed all three levels of the Chartered Financial Analyst® program. Samantha T. Grant, CFA, CAIA is a senior research analyst for Marquette Associates and has nine years of investment experience. She joined Marquette in 2017 and is responsible for reviewing and conducting due diligence on U.S. equity products and managers, as well as developing macroeconomic and capital markets research. Prior to joining Marquette, Grant was an investment research analyst at Mesirow Financial. Previously, she worked for Northern Trust Asset Management as a senior associate consultant. Grant holds a B.S. in business administration and an M.B.A. in finance from Florida A&M University. 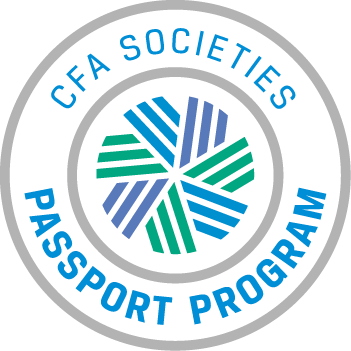 She is a CFA charterholder, a member of the CFA Institute, and CFA Society Chicago. Grant is also a CAIA charterholder and member of the CAIA Association. Patrick Konicki, CFA, CPA, is a fundamental credit analyst at Magnetar Capital, a $14 billion hedge fund based in Evanston, Illinois. He provides credit research on the energy, metals & mining, and capital goods industries. His research is used to recommend investment decisions for a credit default swap strategy and is leveraged for other fixed income strategies at the firm. Prior to Magnetar, Konicki was a senior associate at PwC where he worked in assurance covering hedge funds, high-frequency trading, and near-prime lending. He is an MBA candidate at Chicago Booth and holds both a B.S. and Master of Accountancy from Miami University. He is a CFA charterholder and CPA. Daniel P. Nielsen is a managing director and senior portfolio specialist at Great Lakes Advisors where he is an integral part of the firm’s investment teams and is involved in new product development. Nielsen also oversees the firm’s ESG integration and responsible investing initiatives, working to identify and incorporate material environmental, social, and governance (ESG) factors into investment strategies and to create socially responsible investment portfolios that align with clients’ values and performance goals. Prior to joining the firm in 2015, Nielsen was the director of socially responsible investing at Christian Brothers Investment Services where he developed and implemented investment screens, directed corporate engagement activities, and managed proxy voting. He has focused on sustainable and responsible investing since 2005. Nielsen previously worked at Wespath (part of the United Methodist Church) where he led shareholder advocacy work for its $16 billion pension fund. Nielsen holds an MBA from the University of Chicago Booth School of Business and a BA in Chinese language and literature from the University of Maryland. He was part of the first cohort to earn the Fundamentals of Sustainability Accounting (FSA) credential offered by the Sustainability Accounting Standards Board (SASB). Nielsen has served on the board of directors of US SIF – The Forum for Sustainable and Responsible Investing, the steering committee of the Sustainable Investment Research Analyst Network (SIRAN), and as chair of the board of directors for the Center for Economic Progress. He lives in Chicago with his wife and two daughters. Andrew Rice, CFA, is a portfolio manager at U.S. Trust, Bank of America Private Wealth Management. In this role, he is responsible for creating and maintaining personalized investment strategies utilizing a broad range of wealth management services including investment planning and wealth strategy. This includes assisting clients with establishing goals and objectives, working towards developing an appropriate overall strategy, formulating and implementing potential solutions, and conducting periodic reviews to help clients monitor progress toward reaching the initial goals and strategies set forth. In addition, he supports clients in navigating through changing market environments to provide traditional guidance in the areas of asset allocation, tax-minimization strategies, retirement, and multi-generational strategies from risk-based strategies to banking and lending needs. Prior to joining U.S. Trust, Rice served as a financial advisor at LPL Financial, helping give him experience and insight into the wealth management needs of high net worth individuals and families. Previously, he was a financial advisor with Citigroup and Morgan Stanley. Rice obtained a Bachelor of Science degree from The University of Southern California and a MBA degree from Washington University in St Louis. He also holds the Chartered Financial Analyst® (CFA®) designation. Mark Whitaker, CFA, is a vice president of the Institutional Sales and Trading group at Mesirow Financial. He focuses on research and strategy for municipal securities and high yield bonds. Whitaker has nine years of experience in asset management, and six years in municipal credit research. Prior to joining Mesirow Financial, Whitaker was a municipal bond research analyst at Northern Trust Asset Management, where he provided fundamental credit research with a focus on healthcare and tobacco. He worked in the municipal bond department when the department received the Institutional Investor’s Investment Manager of the Year – Municipal Fixed Income Award in both 2013 and 2014. Whitaker earned a BS in finance and business education from Illinois State University. He is a CFA® charterholder. Whitaker is a member of the National Federation of Municipal Analysts, Chicago Municipal Analyst Society and CFA Society Chicago. Whitaker played football for the Illinois State University team and has been a volunteer assistant varsity football coach for Farragut Career Academy, a Chicago Public School. David Worniak, CFA, is a vice president and senior research analyst in the Fixed Income Research division of Northern Trust Asset Management. His responsibilities include analyzing and monitoring high yield and investment grade issuers in the automotive, capital goods and transportation industries. Worniak joined Northern Trust in 2016. He previously worked at 40¦86 Advisors, the asset manager for CNO Financial, as a senior research analyst for investment grade, high yield and bank loans and prior to at BMO Capital markets in a variety of roles supporting credit default swaps, ABS and real estate. Worniak earned an M.B.A. with concentrations in finance and change & leadership management from the Kellstadt Graduate School of Business at DePaul University and a B.S. in management from Purdue University. He is a CFA charterholder and a member of CFA Institute and CFA Society Chicago. Jian Zhang, CFA, is responsible for the strategic impact of the firm’s analytical capabilities, and the application of quantitative methods in the development and execution of setting strategy for our portfolios. Prior to joining Adams Street, she spent eight years on the quantitative strategy team at O’Connor LLC and two years as a quantitative research analyst with Ronin Capital LLC.